It is with heavy hearts that we announce Arlen Ness the visionary, loving husband, father, grandfather and leader of our family passed away last night March 22, 2019. Arlen passed away comfortably in his home surrounded by loved ones after the most creative and inspirational life anyone could imagine. Although the Ness family cannot put their loss into words, they can look up and smile knowing Arlen has done something that few men do in a lifetime of trying. He has inspired. 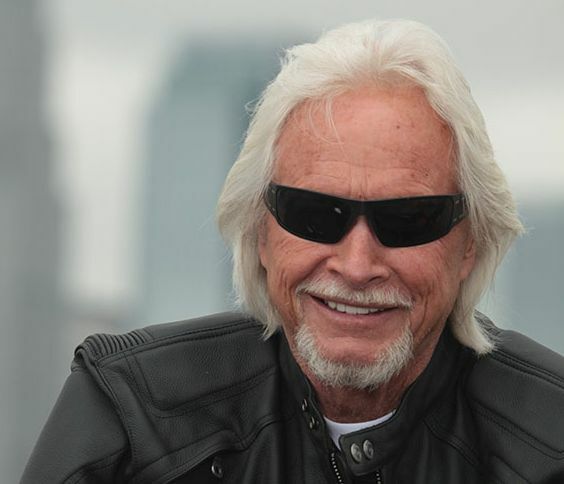 Arlen Ness is a huge part of the motorcycle world. He'll be missed, But what a LEGACY he left behind! RIP Arlen Ness. You blazed a trail and established a legacy for others to follow. Truly one of the greats in chopper history passed away earlier today. A pioneer in so many ways. He really did some nice Sportsters and influenced my builds in a big way back in the 70’s and 80’s. The news I get to miss out on when being away from the forums for a few weeks. This is sad news indeed. Arlen, may you Ride In Peace with the exhaust note of your dreams! Not just legendary in chopper circles, but also those who want to change even just a little something on their bike. Arlen Ness was unexpectedly unpretentious. Mild-mannered. But once in a while he allowed himself to cut loose. One of those moments came two years ago when he was 77 years old, rumbling across the nation with his son Cory Ness on their hand-built motorcycles. They stopped for gas in the middle of nowhere, Colorado. Enjoy life while you can, it's shorter than you expect.